Enjoy dinner and a movie at Alamo Drafthouse Cinema! 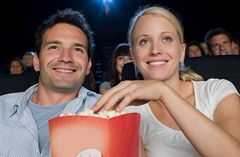 Make a trip to the movies during your stay at the Country Inn & Suites® by Radisson, Winchester, VA! Please check the cinema's website for movies and showtimes. No cash value for vouchers, tickets or gift card.